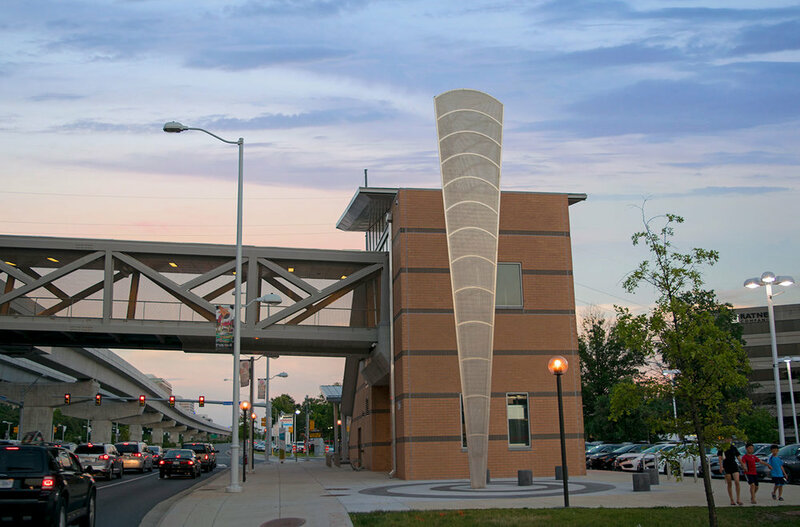 Spring Hill Road Metro Station, Washington Metropolitan Transit Authority (WMATA) Silver Line, Vienna, VA, USA. 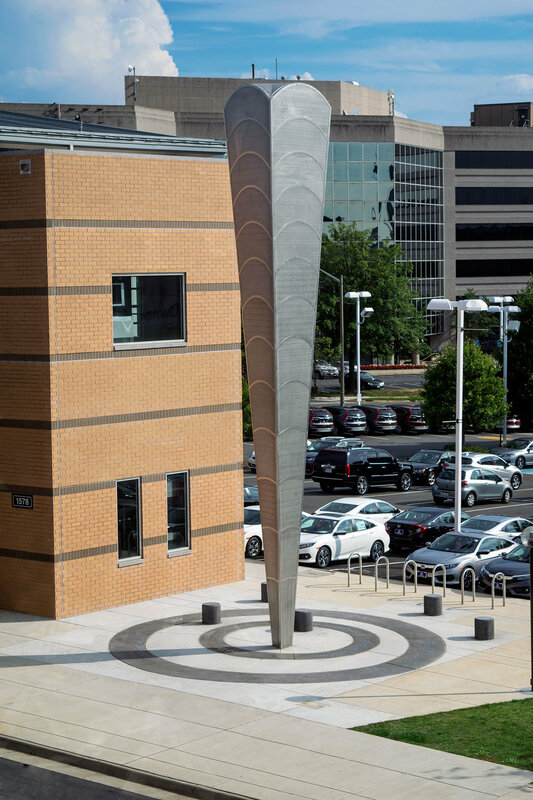 This large iconic columnar sculpture and plaza demarcate the Spring Hill Road Station along WMATA's Metro Silver Line. 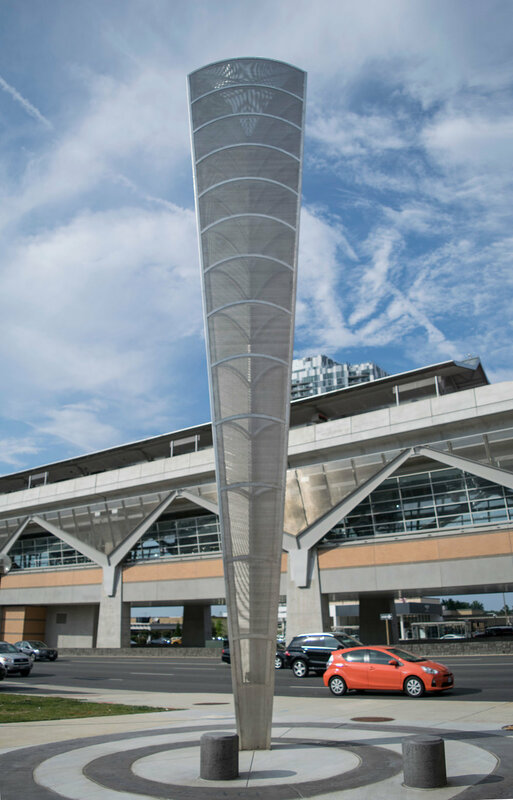 The sculptural form displays shifting moire patterns as the viewer moves about the piece— from pedestrians at ground level and above on the train platform, to vehicles and bicyclists passing at varying speeds. 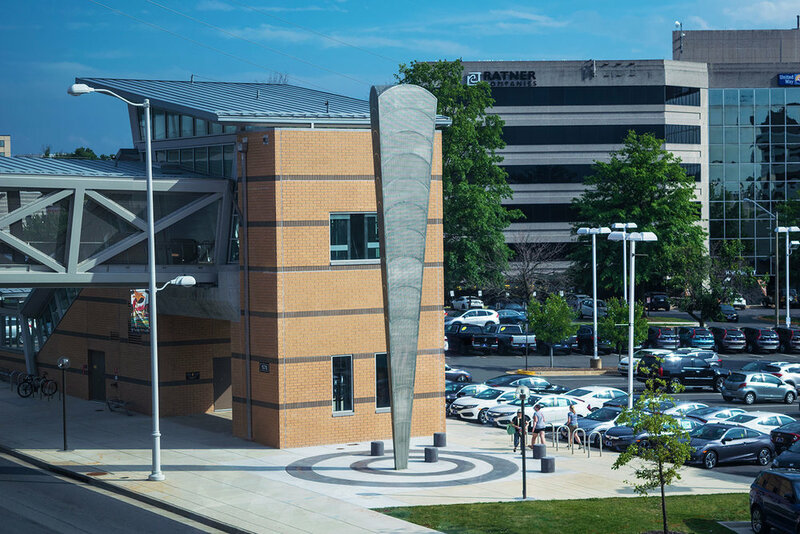 The plaza includes an offset concetric ring design in two tones of concrete with poetry by previous Poet Laureate of Virginia Lee Pelham Cotton in aluminum within the concrete. 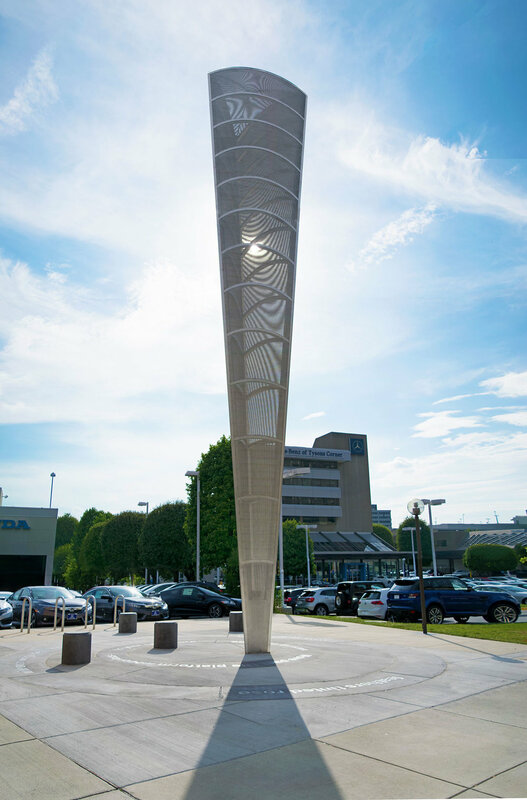 In the evening, the pillar is illuminated to create a placemaking feature aruond the clock. Commissioned by WMATA, Washington D.C.